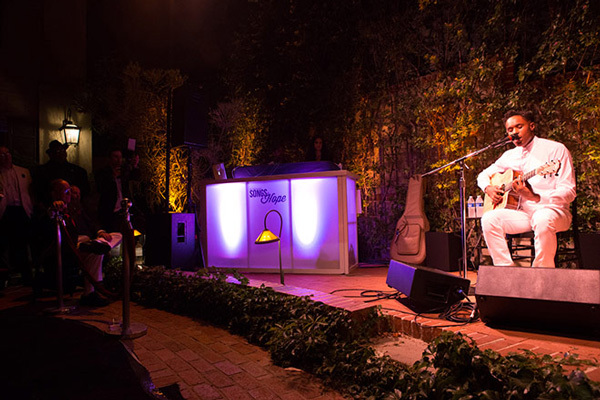 On Wednesday June 4, Los Angeles magazine supported City of Hope’s 10th Annual Songs of Hope soirée at the beautiful estate of Ron and Stephanie Fair. The star-studded event included acoustic performances by Colbie Caillat and Avery Wilson along with an award presentation hosted by Jimmy Jam. Honoree Brian Tyler received the “Electronic Arts Composer Award” and Colbie Caillat was presented with the “Songs of Hope 10th Annual Contemporary Songwriter Award,” while music industry legend Clive Davis presented the “Legend in Songwriting Award” to Dr. Luke. Guests sipped on Stella Artois beer and Tallarico Vodka cocktails while enjoying savory and decadent bites from LA Spice Gourmet catering. To date Songs of Hope has raised nearly $3 Million supporting City of Hope a global leader in the fight against cancer, diabetes, HIV/AIDS and other life threatening diseases.